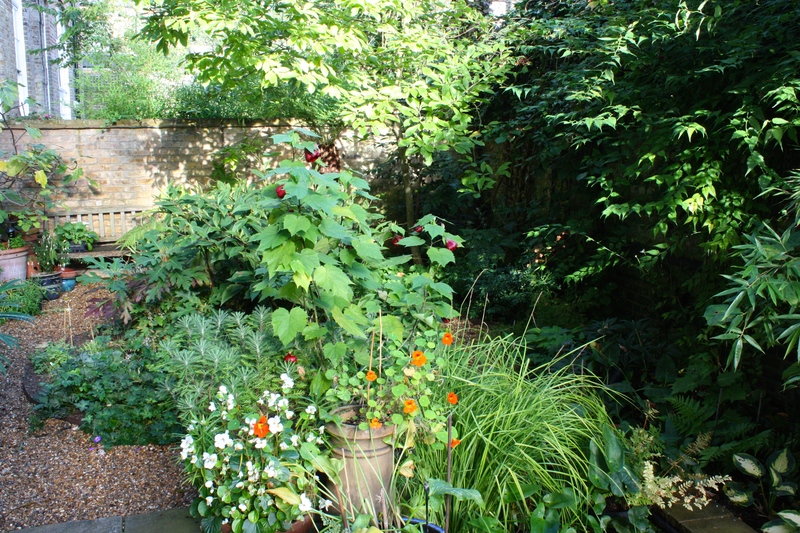 There comes a point every year when I begin to lose sight of our London garden. It’s nothing to do with my failing vision (although I do like to sport a natty pair of specs), or exuberant foliage, but everything to do with the shortening day-length. Come October there may be a few precious moments of daylight before I leave for the office, but already it’s dark by the time I get home. The next three weeks will be spent in Hong Kong and China. When I return the clocks will have changed, effectively ending my gardening season in London and plunging me into four months of perpetual darkness. The occasional day spent at home in autumn reveals our garden in a different light. This Saturday, for example, dawned dank and dispiriting; leaves, flowers and vegetables showing their first signs of senility. Quickly the weather sharpened up its act to offer a crisp, warm autumn day, perfect for tidying and bulb planting. Having had success this year, I am planting more Lilium martagon ‘Album’ and Narcissus ‘W.P. Milner’ wherever there’s a little gap to fill. Our neighbours, vocal Italians who seem to have a penchant for rampant climbers, provide us with a backdrop of Virginia creeper (Parthenocissus quinquefolia) intertwined with equally pernicious Russian vine (Fallopia baldschuanica) and Clematis armandii. 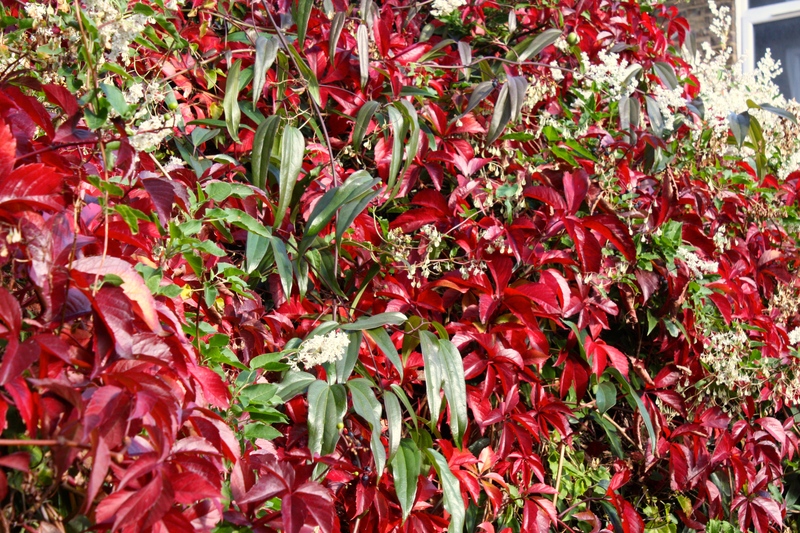 The long, wandering stems of the creeper, invisible until autumn, now appear bright, ruby-red against the white flowers of the vine and glossy foliage of the clematis. A dazzling combination when lit by the mid-morning sun. 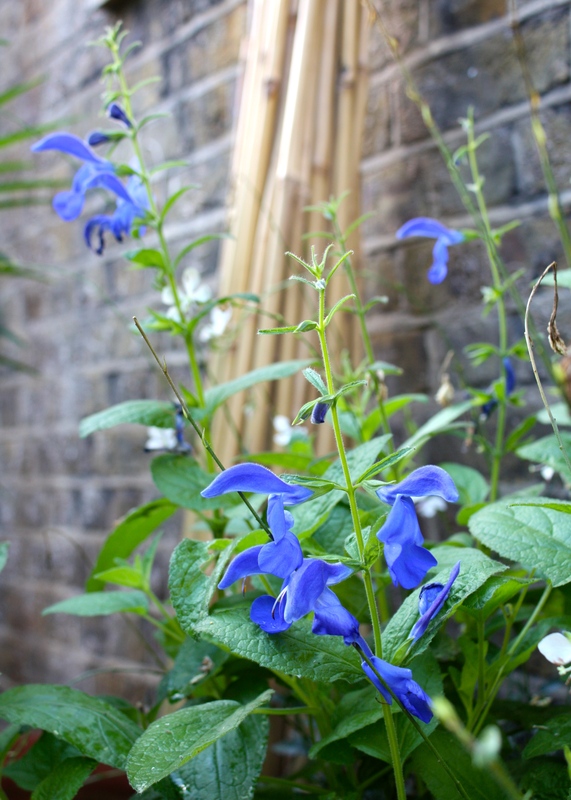 With flowers of the truest blue you’ll find in a flower, Salvia patens is looking terrific right now, even in low light. I planted eight of them in August to replace mildew-ridden sweet peas, alongside frothy Gaura lindheimerii. The late-flowering duo will need to make way soon for a colourful planting of tulips and wallflowers, which will duly be replaced by more sweet peas in spring. 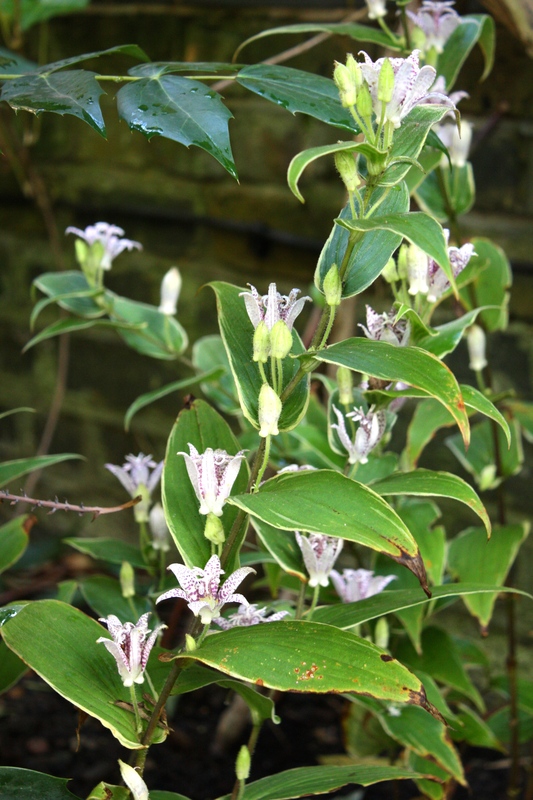 Hidden in the shadows beneath a magnolia is a lovely variegated form of the toad lily, Tricyrtis hirta ‘Variegata’. 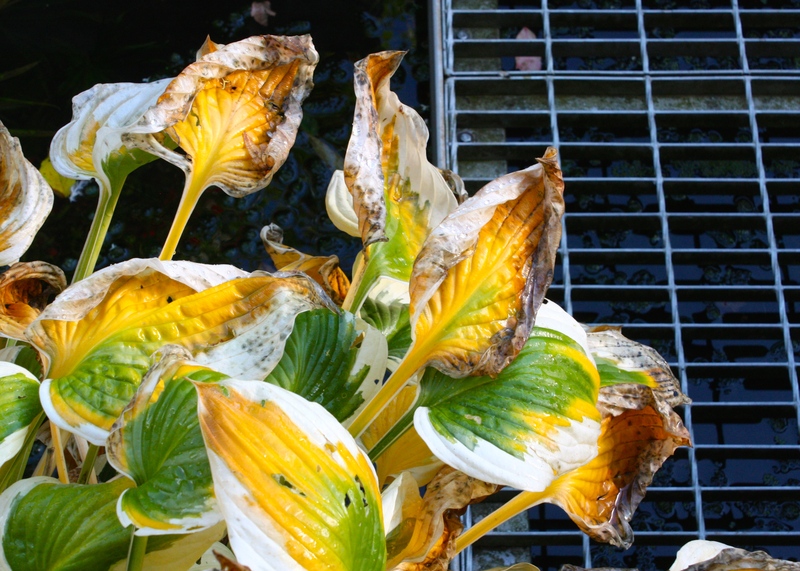 The cream-coloured leaf borders are very minimal so won’t offend anyone who dislikes strong variegation. Long, slightly angled stems, reminiscent of willow gentian (Gentiana asclepiadea), produce lots of plum-freckled, starry white flowers. It’s worth pushing on through the undergrowth and a carpet of Cyclamen hederifolium to find them. 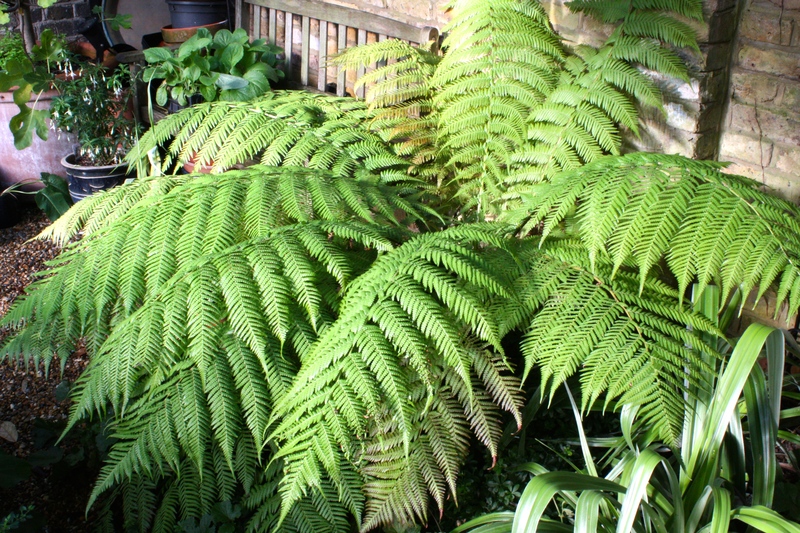 Daylight hours at home during winter offer precious gardening opportunities. Keeping up with fallen leaves is a chore, but it’s essential they are kept out of the pond. The vegetable garden has already been cleared of anything that’s ceased to be productive so that the rain and frost can get to the soil. The last tasks of the year, reserved for a fine day in November, will be planting tulip bulbs and clearing away faded perennials. Before we know it the snowdrops will be pushing their thin, silvery shoots into the cold air and the cycle will begin again. Lovely, autumn is my favourite time of year and I love her remains in the garden.